Supporting facilities: there are three different bases available for use (please select the appropriate base when buying). 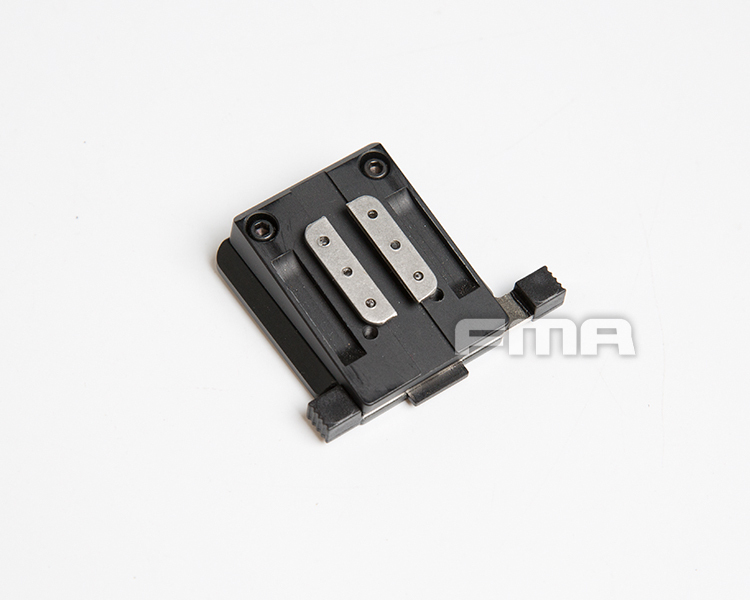 The FMA GSGM Mount is designed around the operational requirements . It accommodates the L-3 GPNVG-18, L-3 FGS-PI, and ITT AN/PVS-23 (F5050). 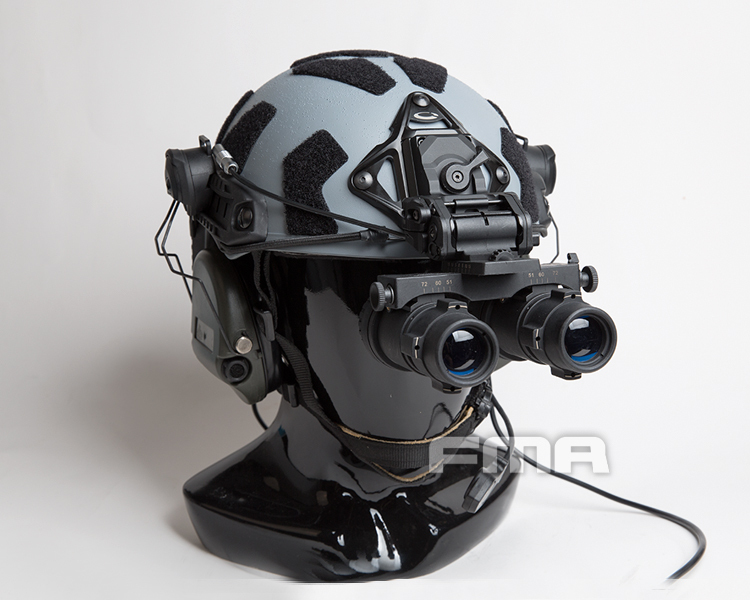 This mount interfaces with a helmet as a single assembly and is not meant to be quickly taken apart in the field. 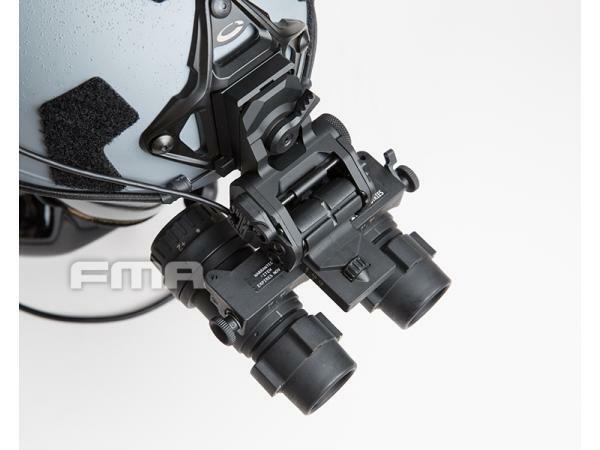 The FMA GSGM Mount attaches to either the Crye AirFrame Helmet or ACH/MICH with a four-hole bolt pattern. 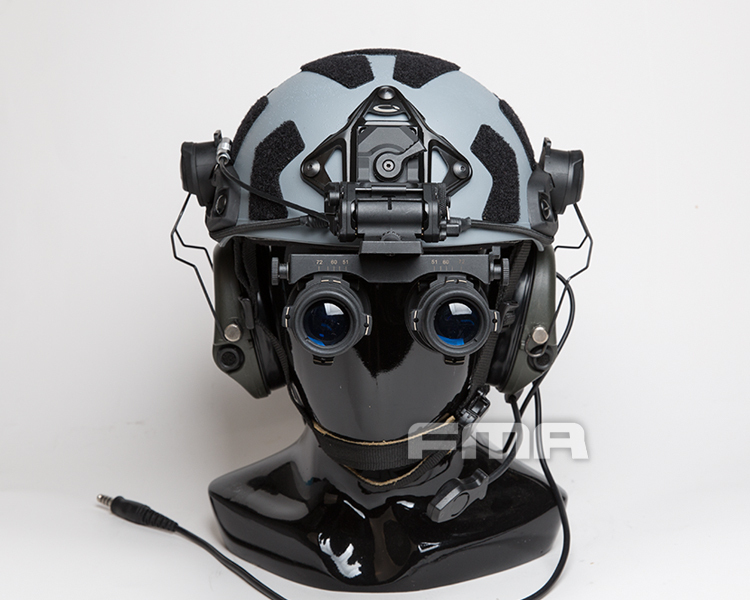 This pattern is unique to aviation flight helmet mounts, but has been adopted by certain elements in USSOCOM for ground use. 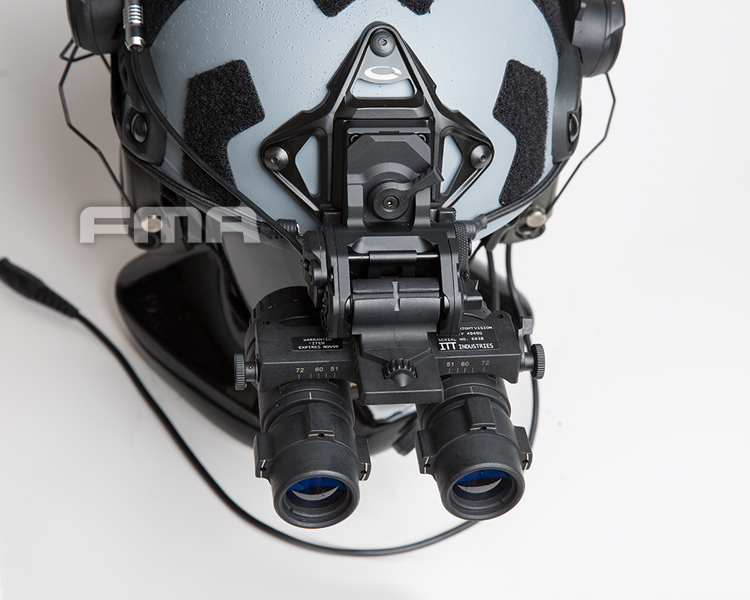 Many of the functions and features of legacy FMA L4 Aviation Mounts are found in the Panoramic/Fusion Goggle Mount. Vertical adjustment is achieved via throw-lever and provides significant travel. The goggle attaches to the mount via its ball-detent ANVIS-style interface and stowage is allowed by activating the side button. 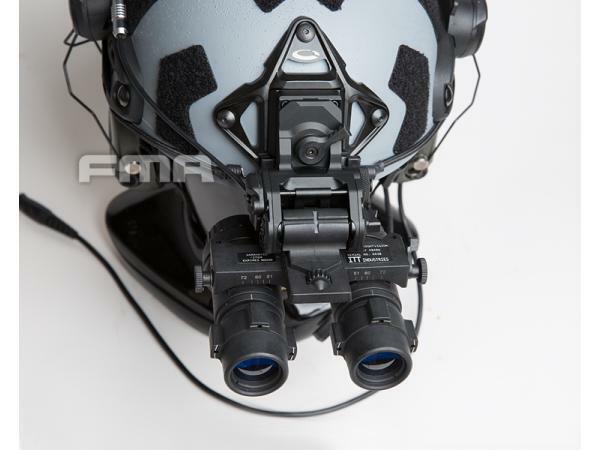 The GSGM Mount features a permanently attached LEMO Cable Adapter that connects with the remote battery pack that comes with the goggle. A Master Power Selector Switch is located on the right side of the mount, giving users the ability to toggle between remote or internal battery at the flick of a switch. This switch is protected by a sliding lock to minimize the chance of accidental activation. 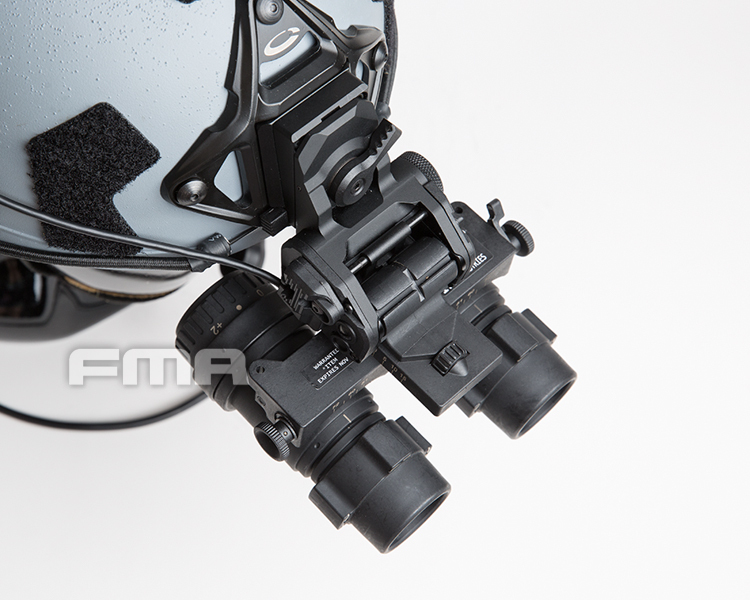 The FMA GSGM Mount is available in two configurations to fit the angles of common currently-fielded helmets. Regardless of the benefits, we are still asked about the price. Our answer is always this: why would you want to mount your expensive NVG’s on the cheapest mount you can find? Wilcox has and continues to set the bar to which all other mounts are measured. It is unlawful to export, or attempt to export or otherwise transfer or sell any hardware or technical data or furnish any service to any foreign person, whether abroad.